RICHMOND, Calif. (KGO) -- Students in Richmond are putting aside their textbooks and picking up cutting edge technology. 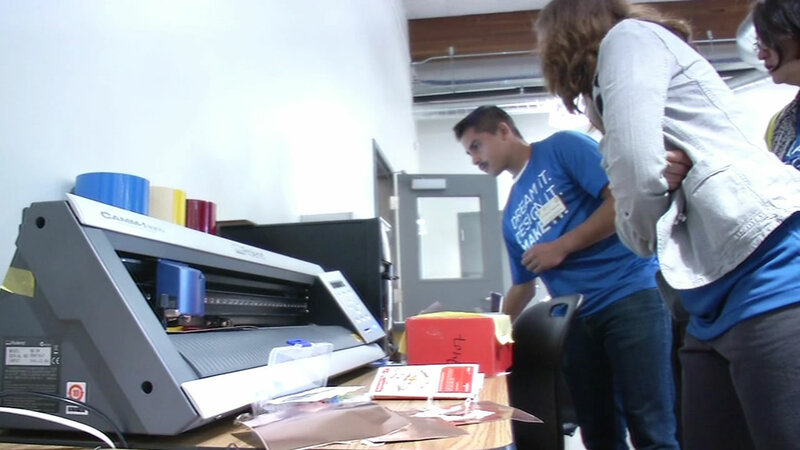 ABC7 News was at Kennedy High School to see the launch of the Fab Lab. It is a workshop where students can dream up an idea and then actually make it a reality using laser cutters and 3D printers. This Fab Lab is the largest of its kind in the nation. It was paid for by a $10 million grant from Chevron. It isn't just for high school students. West Contra Costa Unified School District students from kindergarten to twelfth grade will use it.